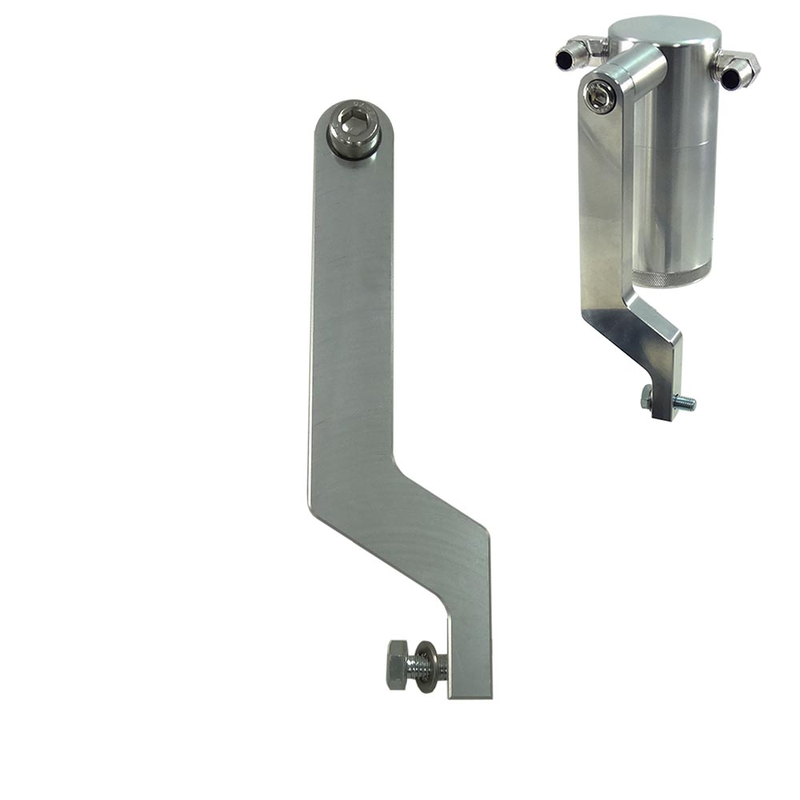 Gain more clearance for your catch can with UPR's Z bracket mount for Dodge & Chrysler applications. This mount moves the can to allow for better access to the bottom of the can. All UPR part# 5032 Billet Oil Catch Cans. No one else can stack up to the bold clean styling of our aftermarket Billet dress ups, Street Strip & Racing Suspension & Performance Parts for your late model American Muscle Car!